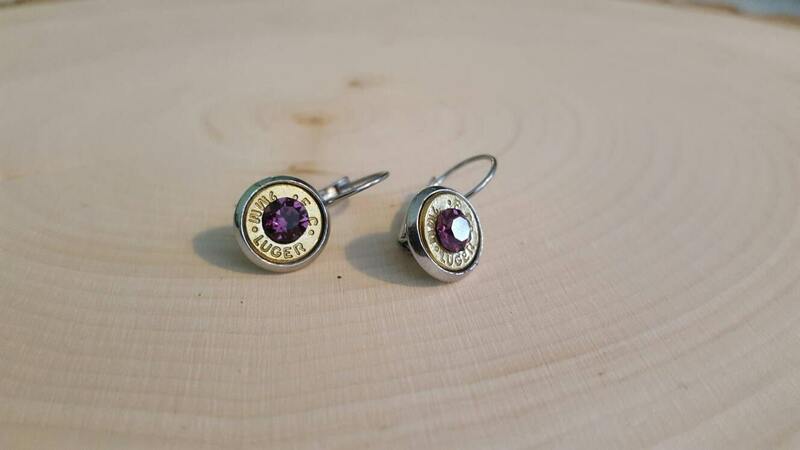 Hanging earrings with 9mm bullet ends, purple Swarovski Crystal in center. 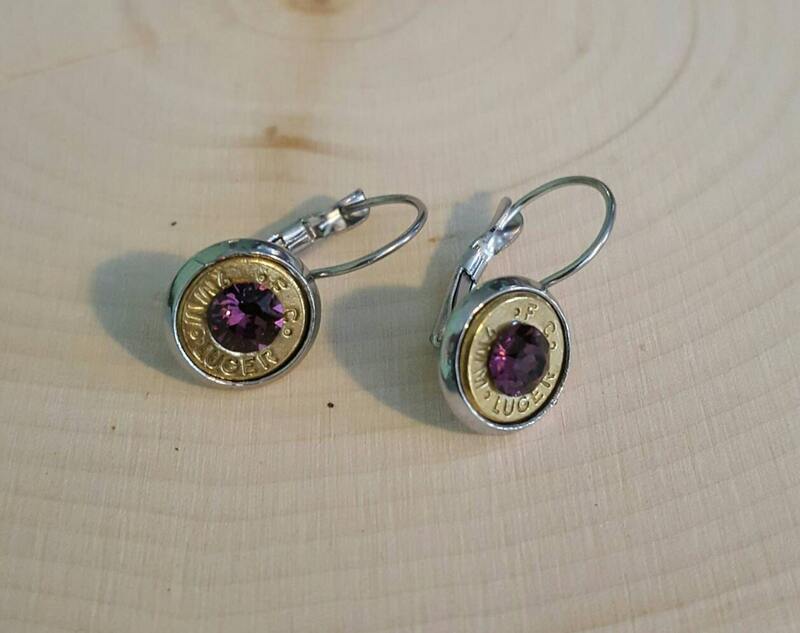 Backings made from hypoallergenic stainless steal. I love these because of the hinged backs. 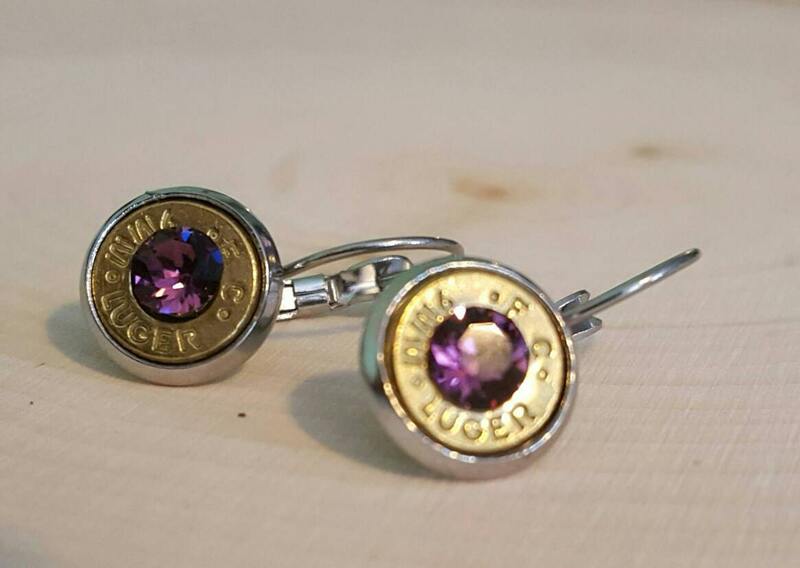 There is no way these are slipping out my ears at the range!